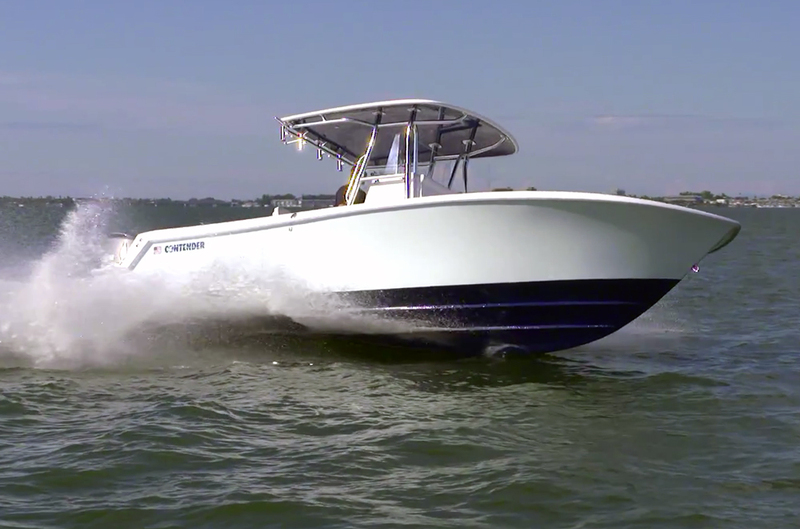 An offshore go-fast goes faster thanks to steps in the hull. 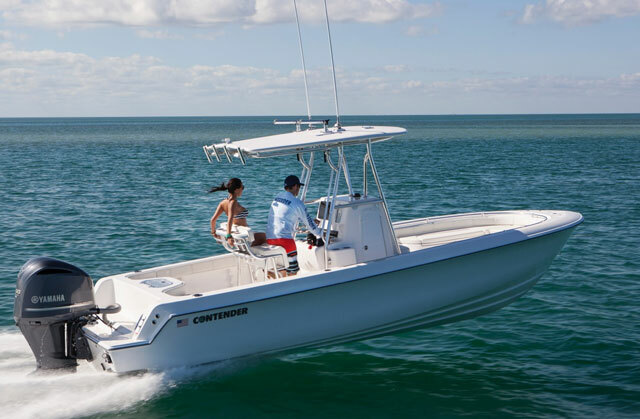 You already know that Contender boats are lightning-fast fishing machines, and their new 30 ST is no different. Yet it is, in fact, a different kind of Contender. 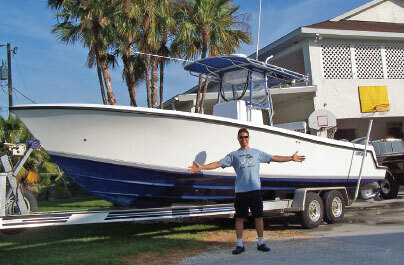 The 30, like the Contender 39 ST we already tested and reviewed, rides on a hull complemented by twin steps. 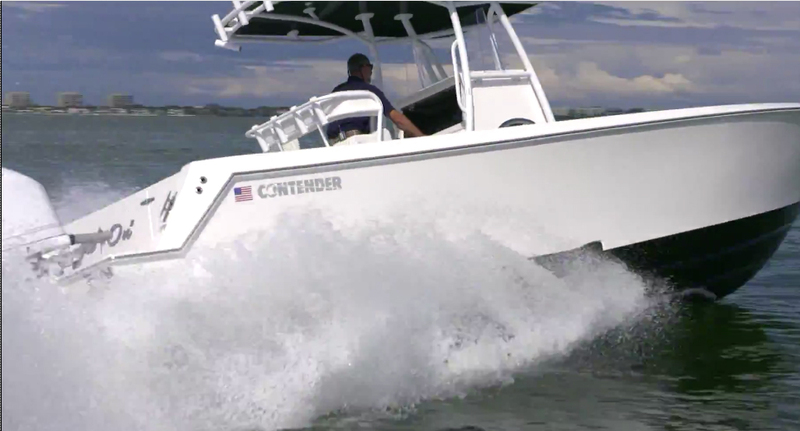 There’s a pair of steps hiding down by the waterline in the new Contender new 30 ST. 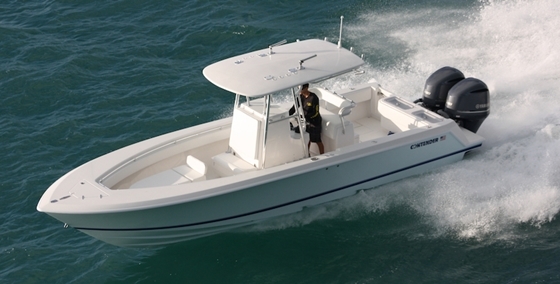 The twin-stepped design starts off as one of this company’s standard 24.5-degree wave-splitting deep-V hulls with reverse-radius chines. A step gets added about halfway up the running bottom, and a second step is carved out a few feet farther aft. The steps pull air in and introduces it under the hull, which reduces the amount of friction between the fiberglass and the water. That means you go faster while burning less fuel, and Contender claims that speed and efficiency are boosted between 10 and 18 percent. You want numbers? 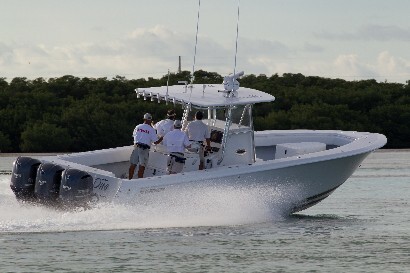 With a pair of 300-hp Yamaha F300 outboards and an average load, the 30 ST will reach speeds in the mid to upper 60s—so you’d better tell everyone to hold on tight before nailing those throttles. When I climbed aboard the 30 ST, I was happy to see that Contender didn’t change a thing when it comes to putting all the emphasis on fishing. There are integrated, insulated boxes galore in the deck, plus one under the forward console seat. 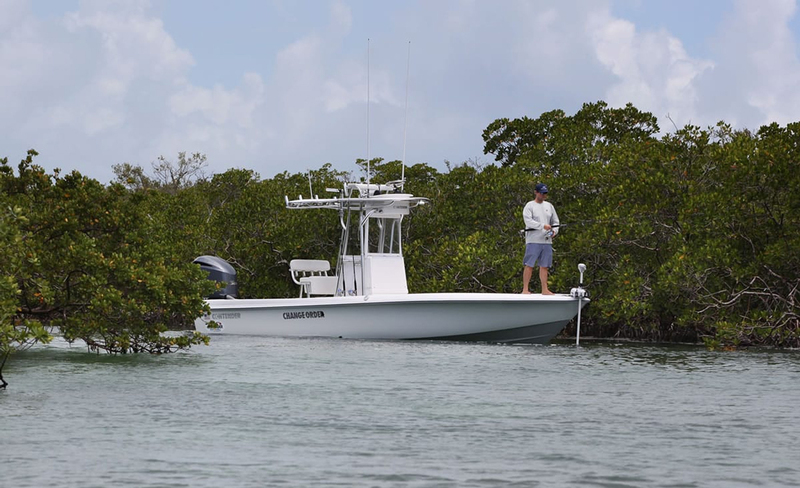 The deck is all one level to allow for trip-free transitions from bow to stern, so you won’t have to look down or stumble when that sailfish rips through the water and you need to move quickly to follow it. And since the T-top supports mount onto a flat molded into the console, just about every possible tripping point on the boat has been eliminated. Another high point is the livewell system; there’s a pair of wells in the transom, with clear lids that dog down tight on gaskets. Fishing features are rounded out by all-around coaming bolsters, a recessed bow grabrail, gunwale-mounted rodholders, and fresh- and raw-water washdowns. 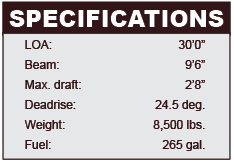 The boat’s construction follows Contender’s tried-and-true methodology: The fiberglass stringer system is PVC-cored, and the rest of the boat is cored with either PVC or balsa to maximize stiffness while minimizing weight. Critical areas like strakes, chines, and the keel are reinforced, and to cap it all off, belowdecks voids are pumped full of foam. Net result? These boats don’t get hit by waves, they smash right through them. 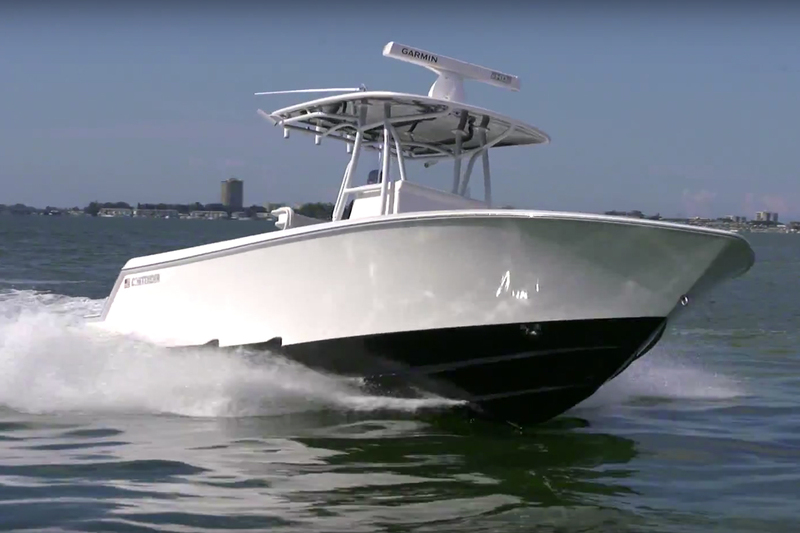 Vibrations, rattles, and creaks aren’t an issue, and virtually anyone who’s spent some serious sea time on a Contender can confirm that their ride in rough seas is among the top tier of go-fast fishboats. That means that when other anglers have to turn around and go home, you can take it one step farther… or in this case, two steps.